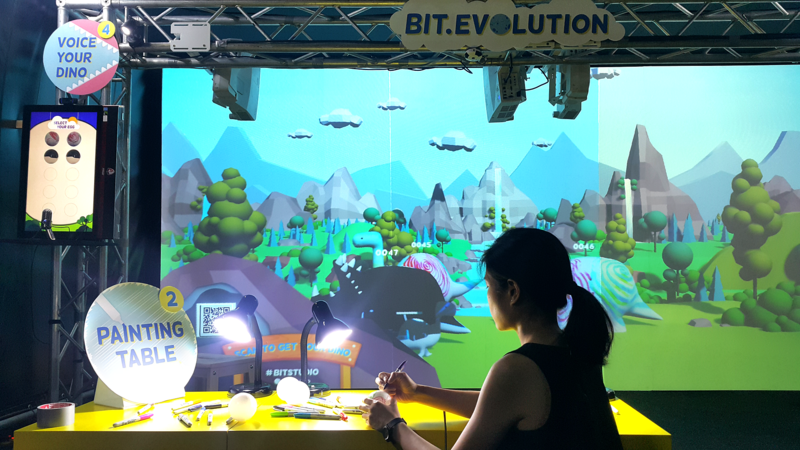 BIT.HACK.WEEK is one of the ways we actively promote innovation through experimentation around the company. This year, our team did some amazing projects and here are the list. 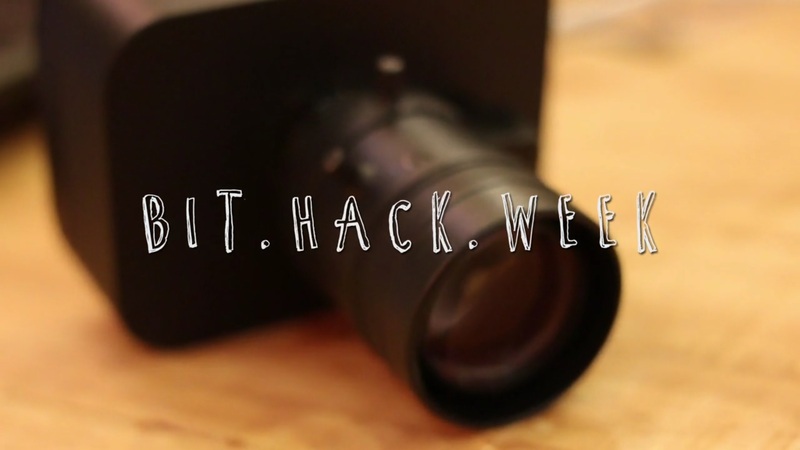 BIT.CAMERA: a custom-made camera housing that allows a low-cost webcam to be able to use a c-mount lens. MAKE.SHIFT.DYNAMO: using a simple motor to create a dynamo that can light up multiple LEDs. BIT.SMART.SIGN: our company sign that can change the blacklight color using a mobile phone. It even has a SIM card so that a visitor can call our office! ROBOT.FRIEND: a friendly running-around robot that has two LEDs as their eyes and a speaker to talk to other people. 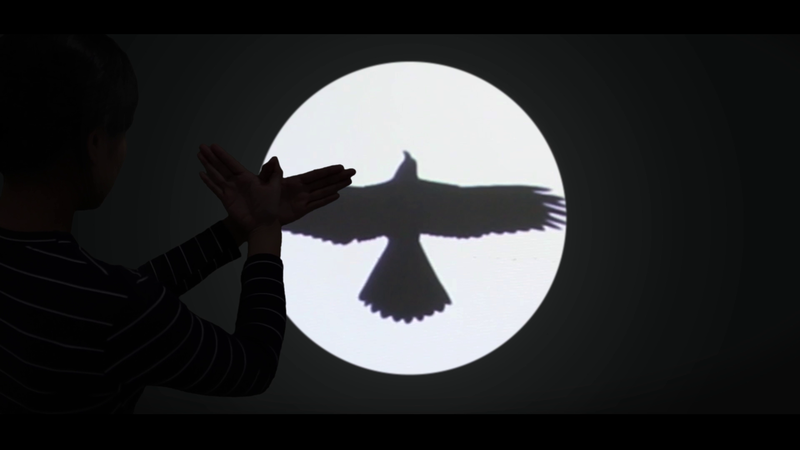 TURN.A.BIT: an interactive project that using an IKEA turntable serving plate as an input to control the animal image that is projected on to it. The faster you turn, the faster animal will run. The cool part is you can change the animal via LINE app, a messenging app, by chatting with our custom-made chatbot. BIT.REMOTE: Using our custom-made chatbot, users can turn on/off the A/C and TV in our office via LINE app. 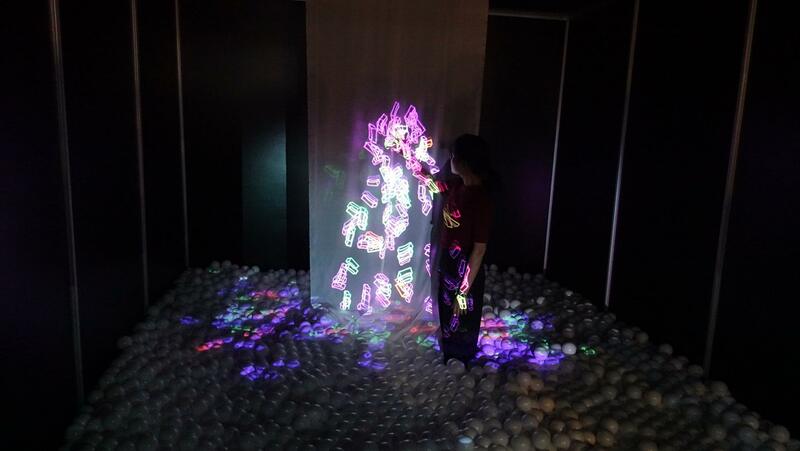 WATER.LAMP: Controlling the intensity of light by pouring the water into the lamp.